All right, the important bits first: if you haven't read this book yet DO IT DO IT NOWWWWWWW. Ahem. 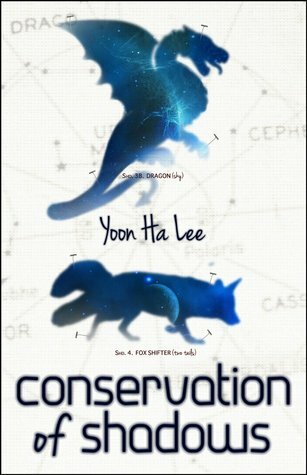 The only word that comes to describe this collection of short stories by Yoon Ha Lee is "astounding". The author's prose is rich and succulent, each phrase a meal in itself, at times reminding me of Borges and Cat Valente. Most of the stories in the collection are sci-fi, though with an edge in narration that makes them more akin to ballads and old-wives tales. Recurring images in the stories are kites, dragons and origami, as well as several other images from Asian tradition - Korean in particular. Whether they're far future worlds, or distant galaxies a long time ago, the reader is definitely sure that they're not the usual Heinlein-esque or Blade Runner-inspired landscapes we're used to. The fantasy stories are maybe more conventional in backstage dressing, but still original in the magic they bring - and I'm not talking about magic systems. Some of the stories might seem needlessy cryptic or dense on a first read, requiring a reread or several hours of mental unpacking before being fully digested, but in my opinion this an added bonus rather than something detracting. I might not have understood or caught everything that went on in a story, but I'm definitely sure that its themes and images will remain with me for a long time. Sign into Goodreads to see if any of your friends have read Conservation of Shadows.